The paperless office has been debated for nearly forty years since the phrase was first coined in an edition of Businessweek. Some say it’s impossible but the only way we’ll know for sure is when everyone takes the first steps. The phrase is thrown around a lot lately especially in debates about the future of business but actions speak louder than words so let’s take a look at what you can do to test whether a paperless office is a viable solution for your company. The first thing you need to do on your road to a paperless office is to clear the paper you already store. Files, document and notes stored in filing cabinets need to be sorted. 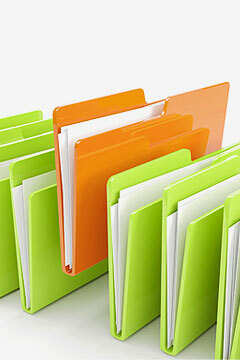 You may find that you’re storing documents no longer needed or you have duplicate files. These can be shredded and securely disposed of for a start. Next you will need to digitise the files you have containing important information which you can’t get rid of. 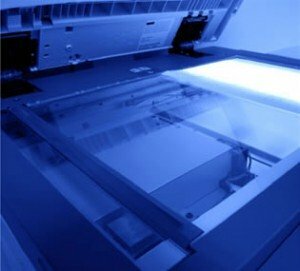 Depending on the size, this can be done in-house or you can outsource the job to a document scanning service. Once the files are digitised and you are happy with their quality, you can get rid of the paper copies. An added advantage of clearing stored documents will be the amount of space you can save. You’ll be surprised how much bigger and spacious your office can look when you remove a few cabinets and boxes. It will also make the paperless office goal clear to those in the office and visiting. Once your documents have been digitised, the next step will be to implement a digital document management system to keep all of your digital files in order, in one place and easily accessible. Paperless Office Software will provide you with a useful base to store documents whether online or via a shared network or even just on your own computer. With digital files, you will no longer need to photocopy paper files and send them manually to colleagues and relevant parties for reference. The documents can be attached to emails or you can give them permission and passwords to view the files online. This form of communication is not only incredibly cost effective, it is also the most efficient way to work as information can be edited easily and colleagues can even work on the same document at the same time with applications such as Google Docs. 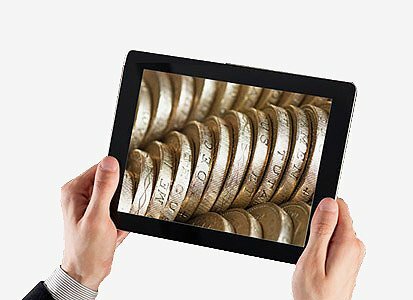 By encouraging your staff and colleagues to join in switching to digital communication you can reduce ink and paper usage and costs considerably. Even for staff meetings you can banish paper by investing in tablets to be used for note taking and information. This is an investment that will pay for itself quickly with the costs usually wasted on paper and printing costs. Admittedly it is easier said than done but in order to reduce or even abolish the use of paper in your office, you must think twice before printing unnecessary documents. “Do I really need to print this? Can I email it to John instead? Oh wow! I didn’t realise it was that many! Sometimes all we need to do is think twice and we can easily convince ourselves that the printing is not necessary, especially when digital documents provide so many benefits. Here at Pearl Scan we provide paperless office assistance in the form of document scanning services and document management solutions. All of our services are completely bespoke and can be tailored to suit the needs of each individual client to provide the best possible solution each and every time. We provide document scanning London, document scanning Manchester and document scanning across the rest of the UK with our nationwide collection service. Our secure scanning bureau is equipped with the latest scanning equipment and we have many security certificates and quality checks to ensure the safety and quality of your documents. If you would like some more information on the paperless office solutions we provide and how your company can benefit, get in touch today and speak to a member of our friendly and experienced team. For a free, no obligation quote for your scanning project, complete our online form by following the links below.